How many have said no who were not heard? Against the impotence of Tamar's word. Faith fails, and hope seems hopelessly deferred. In answer to each disregarded no. It is hard to imagine a pithier encapsulation of sexist oppression: women are ignored; they are overpowered; they are violated. 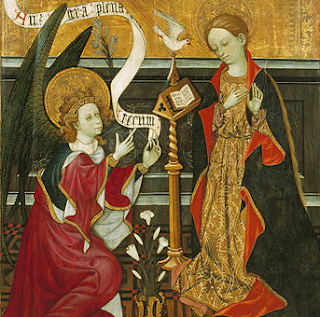 In the ordering of events – God does not simply act and then inform Mary afterwards; there is scope for an alternative course of events if she refuses. In the exhortation not to fear – nor, by implication, to cooperate on the basis of fear rather than devotion and trust. In all that the Bible as a whole, and the Incarnation in particular, reveals about the character of God and His loving, gentle, self-surrendering, status-quo-overturning manner of drawing us – rather than compelling us – into life with Him.